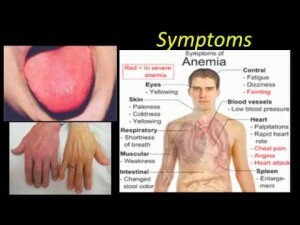 Part 2 Diagnosing and Treatment of Iron Deficiency Anemia. This form of iron deficiency anemia is treated with changes in your diet and iron supplements. If the underlying cause of iron deficiency is loss of blood — other than from menstruation — the source of the bleeding must be located and stopped. This may involve surgery. Physical exam. During a physical exam, your doctor may listen to your heart and your breathing. Your doctor may also place his or her hands on your abdomen to feel the size of your liver and spleen. He would look at the color of the skin and the eyes to look for paleness. 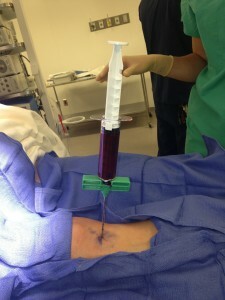 Blood Tests. Your doctor would do the basis blood tests being a CBC which is used to count the number of blood cells in a sample of your blood. For anemia, your doctor will be interested in the levels of the red blood cells contained in the blood particularly your hematocrit (the solids of the blood) and the hemoglobin (the liguid of your blood) in your bloodstream. If anemic both of these will be low and hematocrit below 7.0 down to 6.0 is critical. 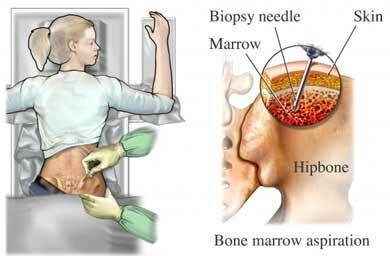 ****Additional testing maybe ordered as well; like the following to help determine what the person has with the what treatment to tell the MD is needed to help the individual get better. 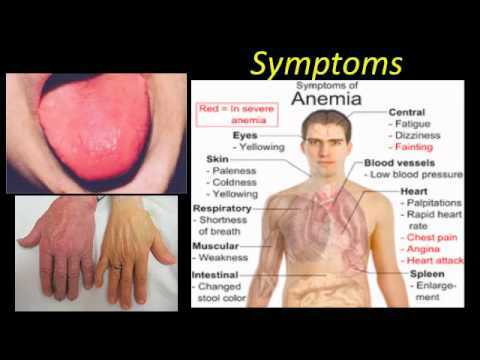 Treatment for iron-deficiency anemia will depend on its cause and severity. Treatments may include dietary changes and supplements, medicines, and surgery. Most importantly determination of the individual diagnosed with it to make changes and STICK to those changes in your diet with supplements, medicines the MD may need you to do. It is up to the patient to determine where they will go with properly treating themselves after the MD diagnoses it and treats it. They need to make the changes not the doctor. It is called being compliant in caring for yourself with you diagnosis or if lucky, preventing it from happening again. Severe iron-deficiency anemia may require a blood transfusion, iron injections, or intravenous (IV) iron therapy. Treatment may need to be done in a hospital. The goals of treating iron-deficiency anemia are to treat its underlying cause and restore normal levels of red blood cells, hemoglobin, and iron. I’m so glad you’ve posted this article. Very helpful. Thank you so much for sharing. Glad I could help and keep reading Striveforgoodhealth.com and with sending me your comments! Have a great day.